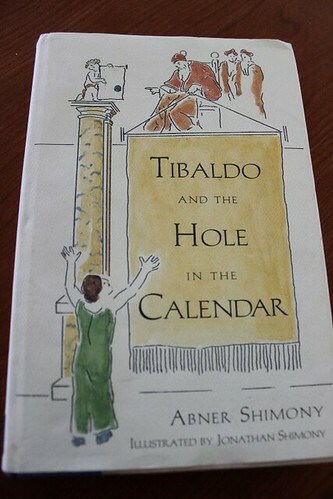 “Tibaldo and the Hole in the Calendar” is a great book. 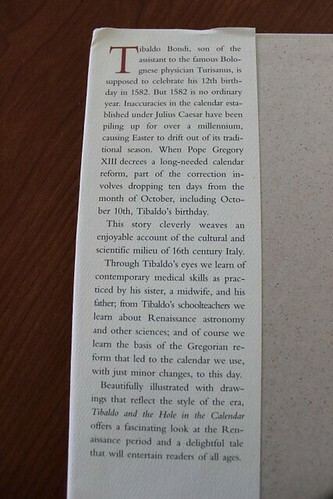 It’s a historical fiction book about the change over from the Julian calendar to the Gregorian calendar. Do you know much about the calendars? 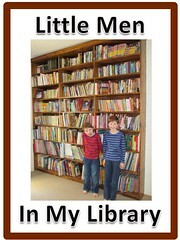 and read it to my boys. Well the Catholic countries did. They changed over in 1582.
so they waited until 1752 and they lost 11 days. And Eastern Europe waited until various years during World War 1. So why did we need to make the change? However, it turns out that a year was actually a smidge shorter than their calculations. This meant that our man-made calendar was creeping ahead of the actual solar year. So they had to pull the calendar back into line. they don’t happen every four years anymore. Every hundred years we miss a leap day. So on 2100 and 2200 and 2300 we won’t have a leap day. helps keep the new calendar mostly in sync with the solar year. (It’s actually still out a smidge but we won’t creep ahead a whole day for hundreds of year). Probably tweens. But it would be fine for any of them. It has a lot of other history and science in it as well. The main character is studying to be a physician so there’s talk about medicine and practitioners in that century. There’s also talk about families, schools, the papal states, midwifery, Latin, and astronomy. It’s a very cleverly written book. Thanks Tracy, appreciate that advice.